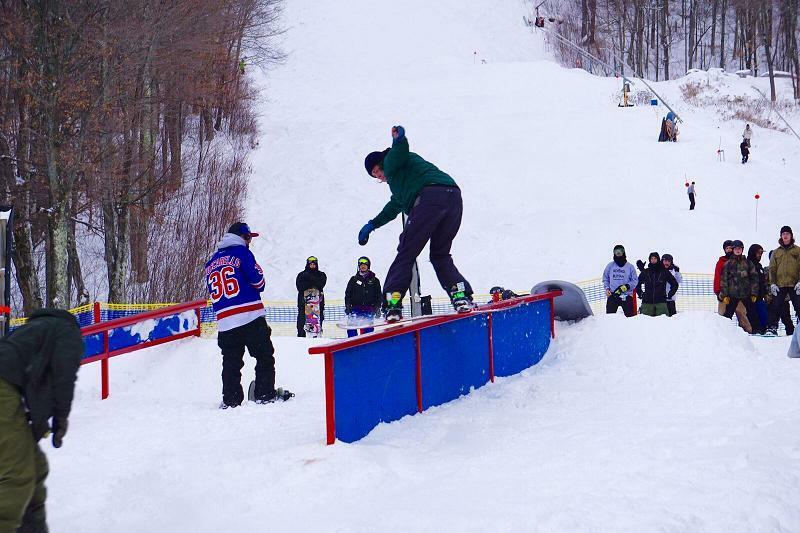 Johnny O'Connor's annual snowboarding event at Windham Parks! The Second Annual Nightmare Before Christmas kicked off Saturday, December 17th with the support of some great brands and people. With prizes from ThirtyTwo, Capita, Union, Coal, Smith, SnowboarderMag, and Joey B’s Rigatoni (How ya doin! ), everyone got a little taste of the holiday spirit. I brought my broken leg to the event. Though people love free product and snowboarding just as much as the next guy, the best gift for all of us came from Windham Park’s Manager, Keith Kreischer. His masterpieces created for the event is what separates this event from most. 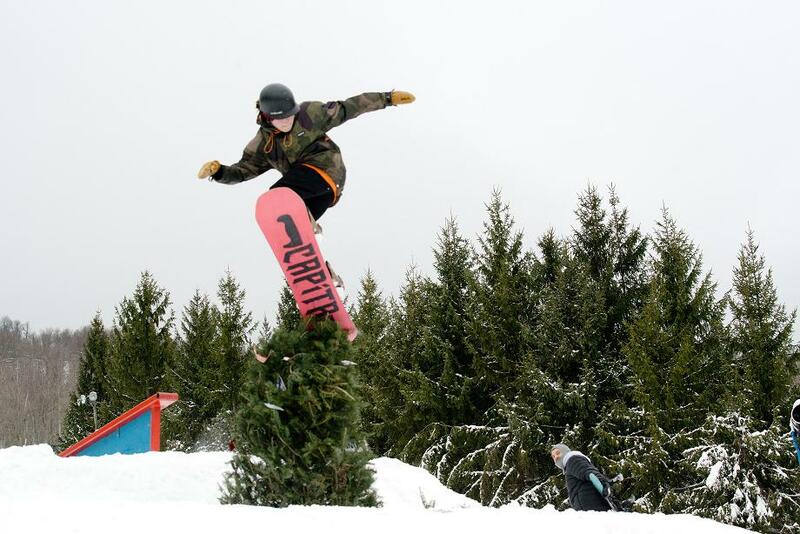 Last year we brought you the grim reaper’s scythe, a tombstone jam, and a Chistmas tree. This year we decided to go even bigger with an additional tree, and create the most technical feature Windham Mountain has ever seen; Santa’s Sleigh. Marcus Rand said this was the best park DFD he has hit. I would agree. Converted upside down as a double slide or rail to bank, this feature created various options you don’t see around here much. Keith’s diverse skill set from cat driving and park building, to welding and logistics is what leaves the opportunities endless for this event in coming years. 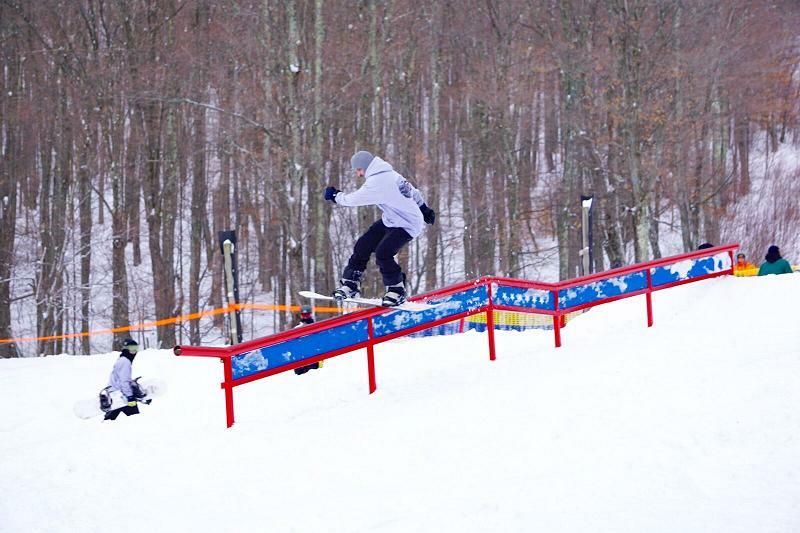 The rail to tree was a highlight feature for the event. Liam destroyed everything we had on his Capita. Even a burly winter storm making roads hectic and leaving some people stranded at home didn’t stop the 75+ people who came out to ride. As we develop this event, we plan to continuously progress in our mixed theme of Halloween and Christmas. We want people to ride into a course that looks as if Santa crashed his sleigh and was taken over by zombies and demons going crazy all over the place. 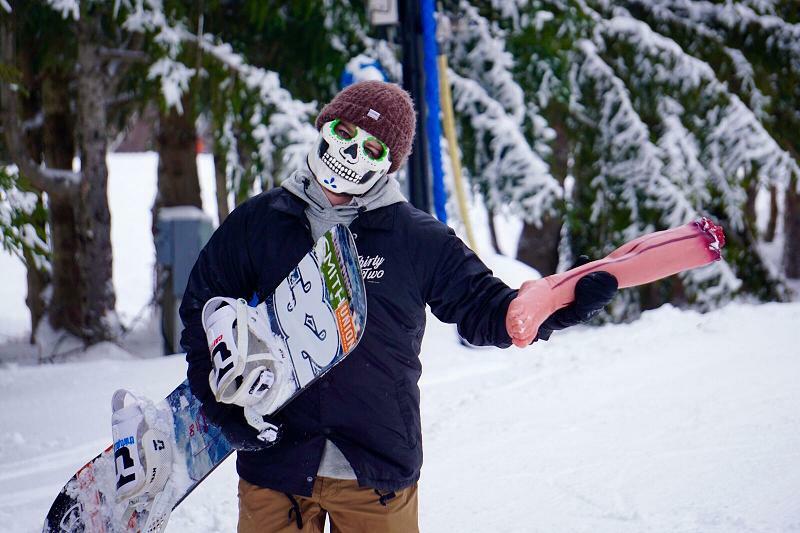 Aside from the set up, what we hope to accomplish with the The Nightmare Before Christmas is bringing people of all abilities and ages together to witness the essence of snowboarding which is best shared with others. As far as next year goes, we already have bigger and better plans to continue growing the East Coast scene and keeping it in our own direction. 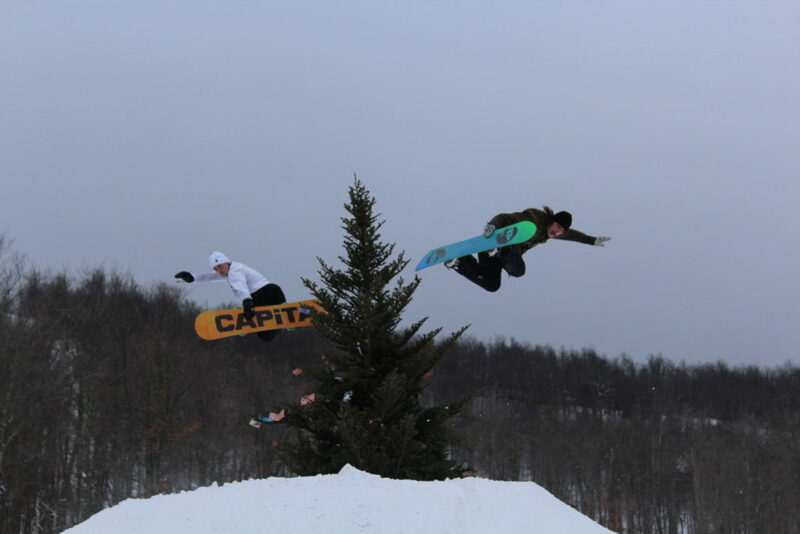 Travis Henderson and Brett Stewart double down for the people. The tombstome to downrail feature has been the jam for two years.